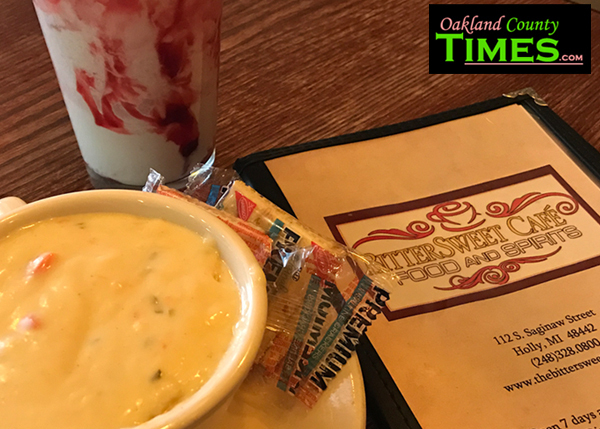 Holly, MI – In a historic town where two major rail lines intersect, the theme of railroads pop up in the name of food items at several restaurants in Holly. 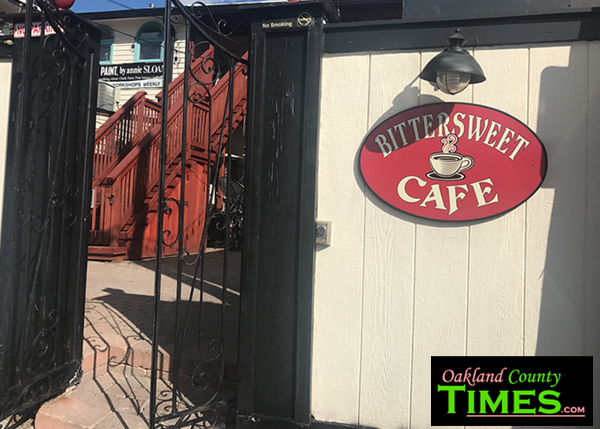 Among those is the Bittersweet Café at 112 S. Saginaw Street. 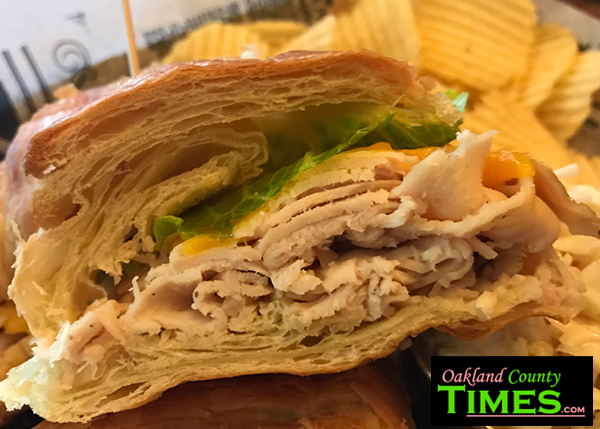 Recently I tried their “Depot Turkey sandwich. 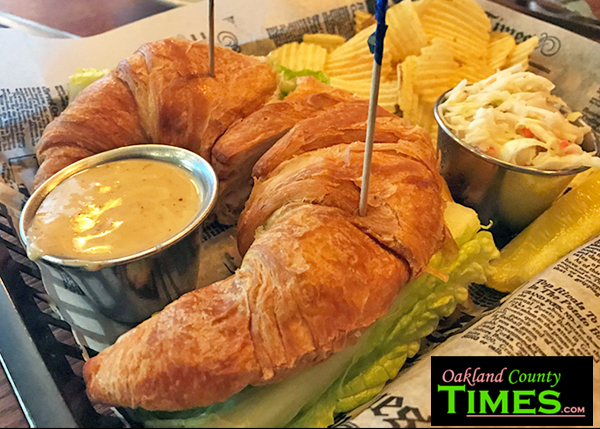 This is “Turkey breast topped with melted cheddar cheese, tomatoes, romaine lettuce and honey mustard dressing on a buttery croissant.” It comes with a little cup of vinegary cole slaw and some potato chips. I also had a cup of the Chicken Dumpling soup and a raspberry flavored Creamosa. I ended up dipping my sandwich into the soup, so that worked out well. A creamosa is a mix of sparkling water with vanilla, orange or raspberry syrup and cream, served over ice. I’ve been to Bittersweet a few times. 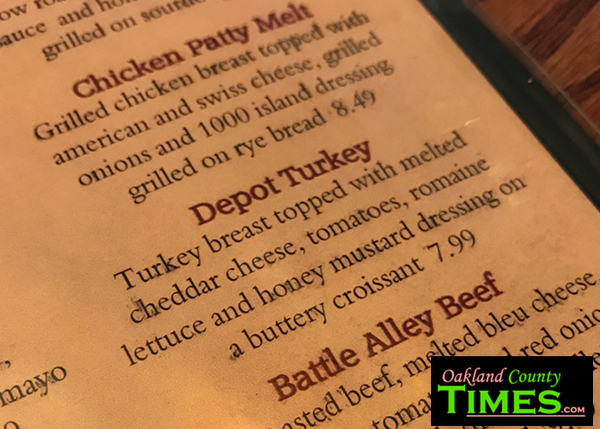 Read about their Battle Alley Beef and Diehl’s Waldorf Salad.